Your great room is the perfect gathering place for your friends and family. Whether you’re hosting a party or staying warm by the fireplace on your own, it’s essential to choose a design that fits your needs. 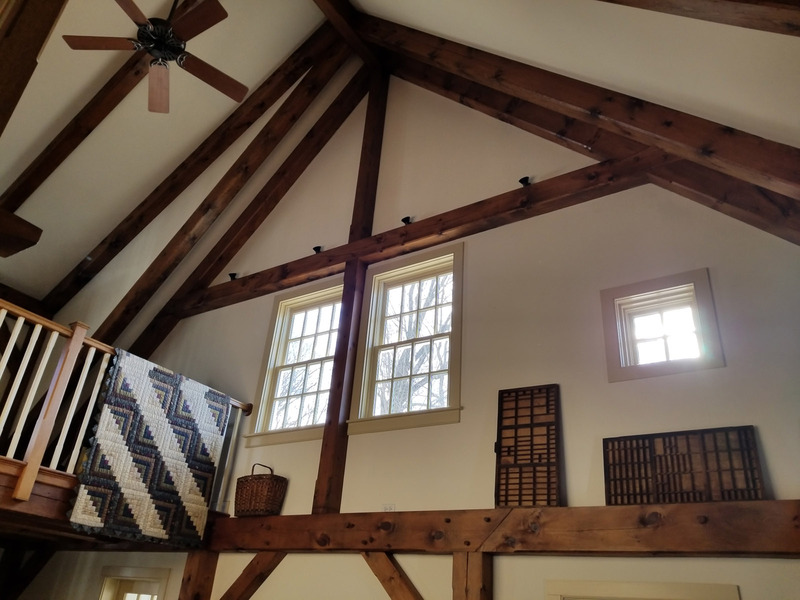 Here are some tips to get the most out of your timber framing project. There’s nothing worse than beautiful bay windows facing the side of a building or an attractive street. When designing your great room, keep your surroundings in mind. Timber framing provides an elegant view on the interior, so compliment it with luxurious views out your window. Face your windows to your backyard, wooded area or scenic overlook. Don’t be afraid to splurge on additional windows to take full advantage of lofted ceilings or picturesque views. From end tables and bookshelves to recliners and sofas, choose your furniture to match your timber frame great room. Once you’ve invested in elegant timber interior, you want to match it perfectly. Whether you choose a log cabin look or a more modern mix of textures and colors, the inspiration should be the timber itself. If your furniture doesn’t match your great room, it could ruin the entire effect of the timber frame. Choose premium wood products or soft, contrasting fabrics to create a memorable and welcoming space. Finally, your timber frame great room wouldn’t be complete without a fireplace as the focal point. Whether you choose an ornamental, electric, gas or wood-burning fireplace, an ornate stone or brick fireplace can bring the whole room together. A wood-burning fireplace is a popular way to heat your home naturally while enjoying the rustic look and feel of an actual fire. With these design features in mind, it’s time to start planning your new great room today. From new builds to renovations, timber framing can be a popular, long-lasting and unforgettable choice for your home. Building a home starts with a solid foundation and a sturdy frame on which the rest of the house is built upon. However, the frame can get expensive depending on the type of material used. 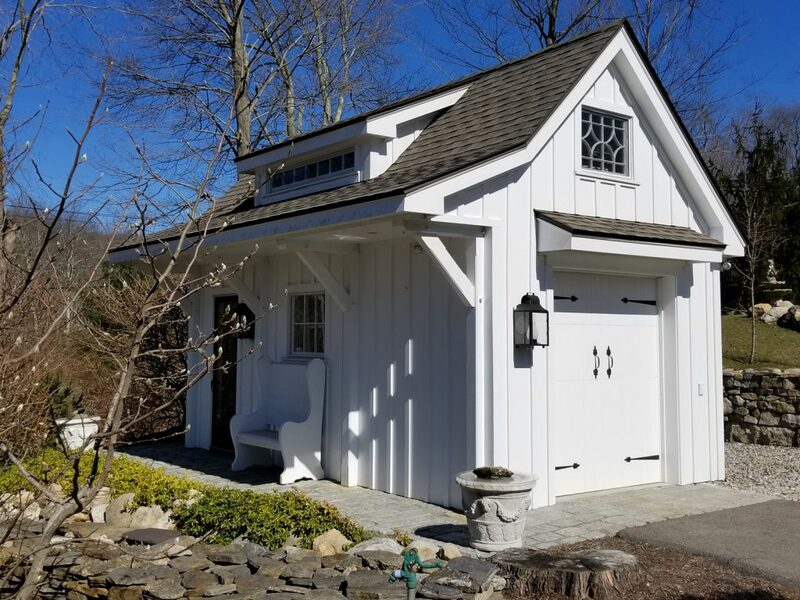 Timber framing provides homeowners with a durable, convenient and environmentally-friendly building option that many can afford. The centuries-old process uses modern technology to build customized, durable home structures. Regardless of the environmental conditions of the area, you can build a robust house with a timber frame. 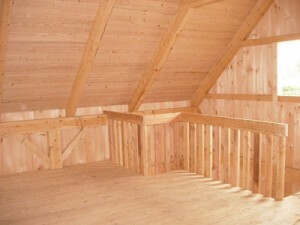 Interior frames use 15 to 30 cm thick timbers for most structures. The material withstands cold and warm climates. The tenon and mortice joints provide greater durability than nails used in wooden frames. Steel joints offer additional durability to the frame especially when the foundation is shallow due to ground conditions. 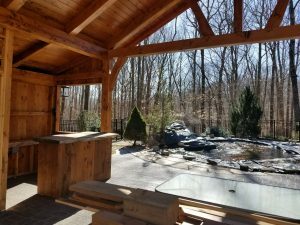 Timber framing is ideal for a custom designed home. You can design the home of your dreams and have the frame created with those plans. The home build moves faster than other building methods. Insulation comes pre-fitted onto the frame saving time and money on the build. 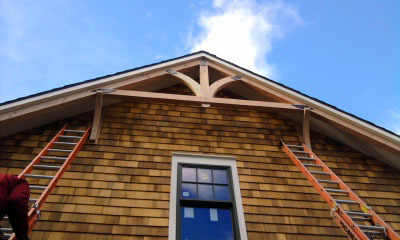 The frame uses panels designed around your house plans to provide a custom look. The optimized process has about two centuries of proven durability with the benefit of modern technology. Timber is environmentally friendly as it costs less energy to manufacture and process. The home provides excellent circulation requiring less energy usage throughout the winter and summer months. They ventilate better cutting down on the number of greenhouse emissions needed to power the home. The non-toxic, organic timber uses up to 4 tonnes of carbon dioxide less than conventional building options. Building your home with timber framing makes for a great retirement home that is affordable. 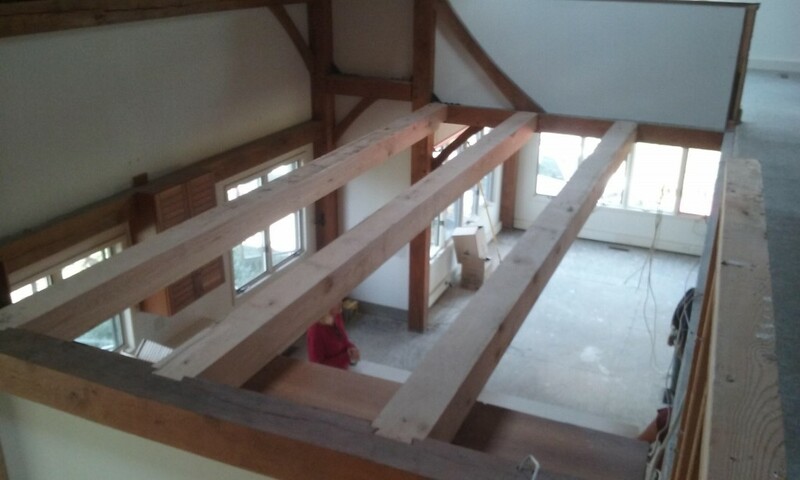 Find a local construction that uses timber in their framing. Your home frame is sure to last for decades with robust material in the design you want. There are many material options to choose from when building your dream home, not to mention all the other factors to consider. We’ve put together a list of the top three reasons why you should choose timber framing for your construction. Flexibility comes in all forms, especially with timber buildings. During construction, wooden poles are set into the ground, making the house more stable and less likely to have foundation issues. The wooden beam frame also enables you to add on to the house at a later date with a porch or roof overhang extensions if you want. Not only that, but you can also create a floor plan that is open or closed, because there are no load bearing walls. A professional contractor can design the layout you want. The next reason is that timber framing creates buildings that are energy efficient. The construction allows for large spaces in the wall where more insulation can be put. That means you won’t have to crank the air conditioning or heating to keep the interior at a comfortable temperature. Your contractor may also be able to install other energy efficient materials, so be sure to ask. Lastly, these buildings are made to last and withstand all sort of weather conditions. Due to the wooden poles that go into the soil, these constructions can hold up under heavy loads of snow and rain as the weight is transferred to the soil rather than the roof. 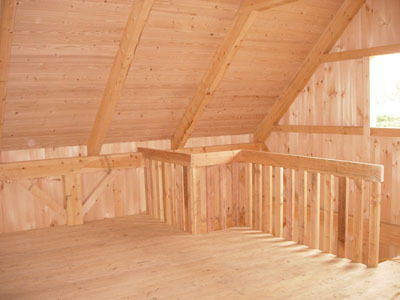 The naturally sturdy timber provides greater strength and lengthens the lifespan of the building. If you are planning on building a new home or other structure, ask your professional contractor about timber framing as the construction material. Not only is it durable and flexible, but it is also energy efficient. All of these factors combine to provide a strong and cost efficient building. Prefabricated or modular homes are a growing trend that appeal to many people due to their affordability and aesthetic appeal. One type of prefabricated home that has classic appeal are cedar post and beam prefabricated homes. 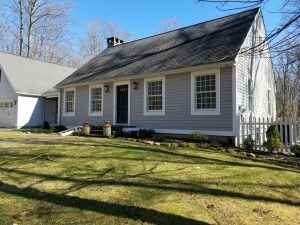 There are many modular home companies that specialize in post and beam homes that can help you get the house you have always dreamed of. While most homes are built with a stick frame model, this isn’t the only way to build a house. In fact, there are other styles that are more visually appealing, energy efficient and unique than the traditional build. Here are six of those styles. House framing is much like the skeleton or bones of a home. You don’t see it, but it’s there to support the exterior of your home, and without it, everything would collapse. There are a few basic things every homeowner should know about how framing is built. Here is the essential run-down on the bare bones of how a house gets its frame.